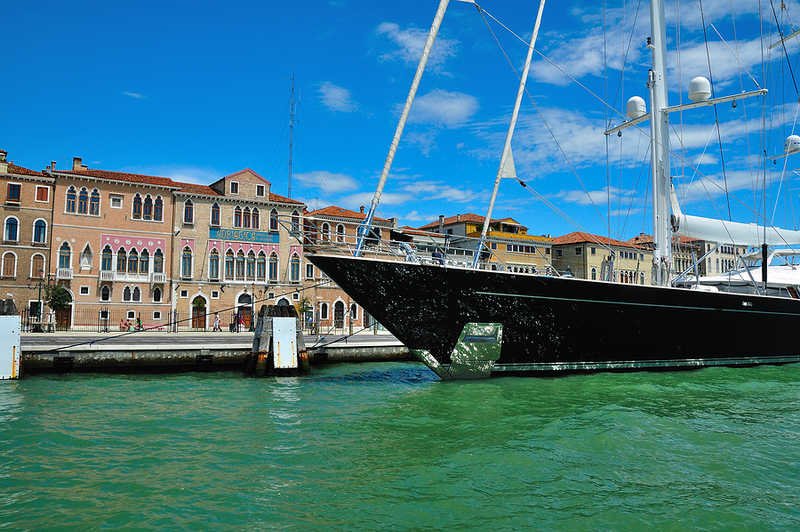 Begin or end your crewed yacht charter from the seafaring city of Venice. 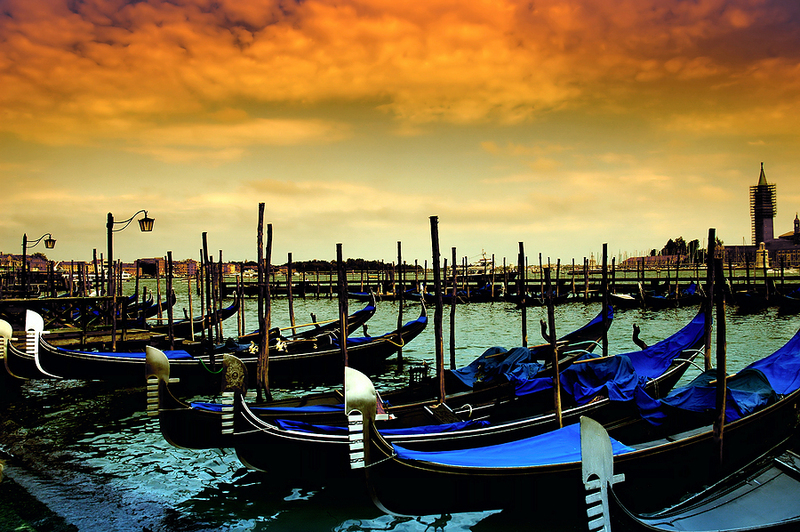 Either sail down the Grand Canal out to the Adriatic for a great charter start, or cruise into Venice for a great charter end and dock next to St. Mark’s Square or tie off on the large pilings in the Grand Canal to enjoy this unique city on the water. 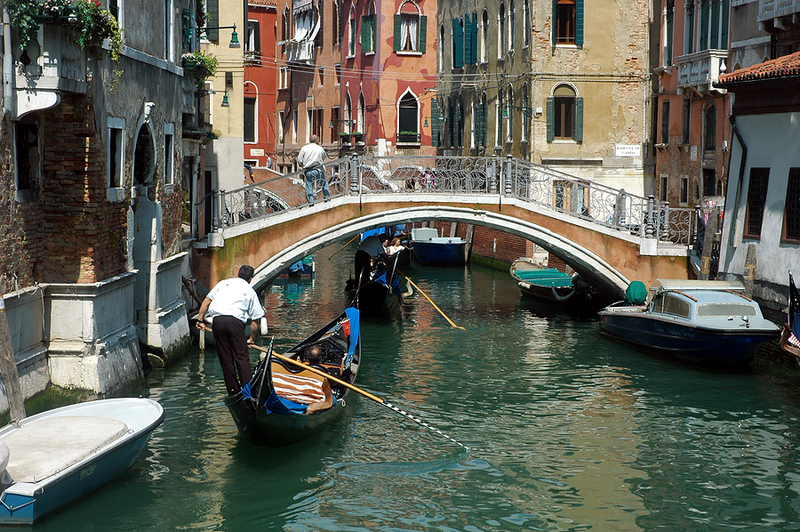 Venice is a lovely spot to spend time in before or after your charter to explore the city canals by water taxi or on foot through the myriad of walking streets that spider out throughout the city on either side of the Grand Canal. Including Venice on a crewed yacht charter is the perfect port in which to begin or end a yacht charter in the northern Adriatic Sea. Venice, Italy, also known as the “City of Bridges” stretches across 117 islands in the saltwater Venetian Lagoon in northeast Italy off of the Adriatic Sea. Originally settled by locals who settled the string of islands surrounded by water as a fortress location for protection from marauding Huns, the population of Venice soon out grew the available land. Land was reclaimed from the lagoon until the various islands were melded together separated only by canals, by sinking large wood pilings into the lagoon, through the bottom silt layer to the hard clay beneath. As there is no decay if wood is submerged totally in water, over the centuries the mineral rich water literally petrified these wood pilings into stone like foundations, above which the walking streets, buildings and churches of brick and stone were built. 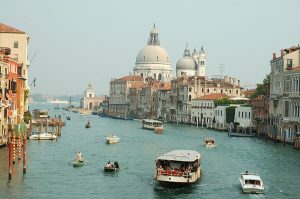 The city state of Venice grew in wealth and prominence through trade from the 800’s to the 1500’s and was a maritime power during those centuries. As local merchant families gained in prominence and wealth, that wealth was reflected in the building of palazzos, churches, and other grand civic buildings, and through the patronage of the arts, literature and music all of which left a stamp of culture and elegance on this once powerful city state. After the 1500’s, due to a series of plagues, and the switch of trading interest from the Adriatic Sea to the newly discovered American continents, Venice began to decline in power and wealth. Today, Venice is an aging city of antique splendor waiting to be explored via the various city water “streets” or canals, and by wandering the many city walking streets connected by over 400 bridges. 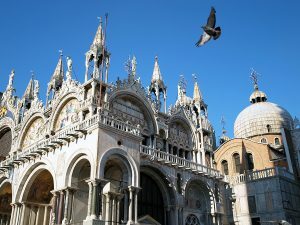 Be sure to visit St. Mark’s Square, said by many to be one of the most attractively designed squares in the world, exhibiting sublime architectural balance, and anchored on one side by St. Mark’s Cathedral and the Doges Palace, and an entrance on the Grand Canal. The other three sides are ringed by long buildings strung together by loggias, with shops on the ground level. Throughout the centuries the center of the square has been home to outdoor living and commerce, and is now home to outdoor cafes, featuring musicians and often impromptu dancing. 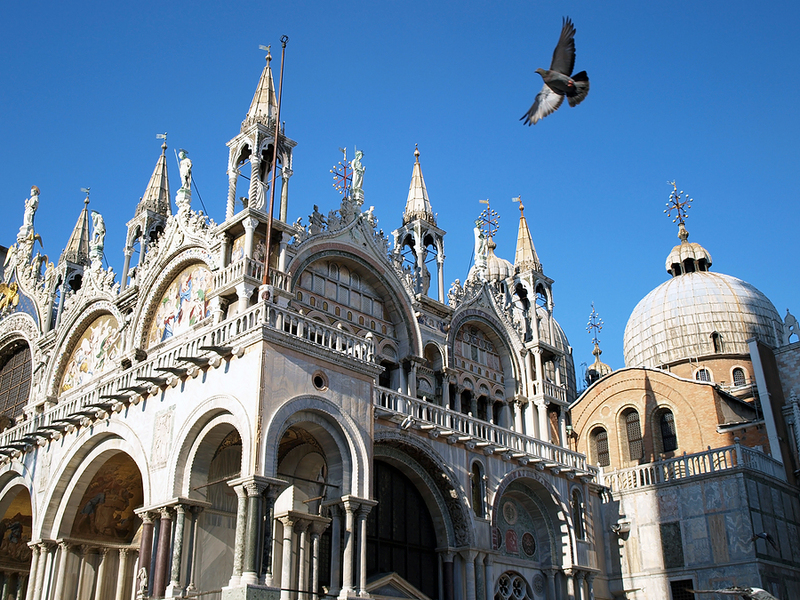 Be sure to step inside St. Mark’s Cathedral to see the gold mosaic ceilings, and take a tour of the Doges Palace where you too can walk across the “Bridge of Sighs”. 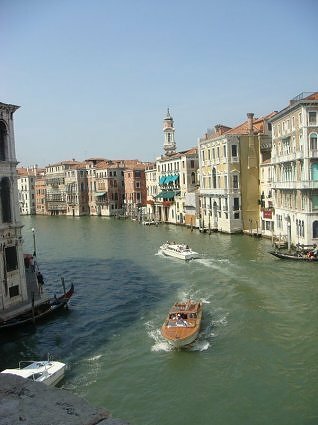 A guided tour can be set up through the canals of Venice focused on any topic of your interest, such the Palazzos and famous families of Venice, or the churches of Venice, especially those designed by Andrea Palladio. 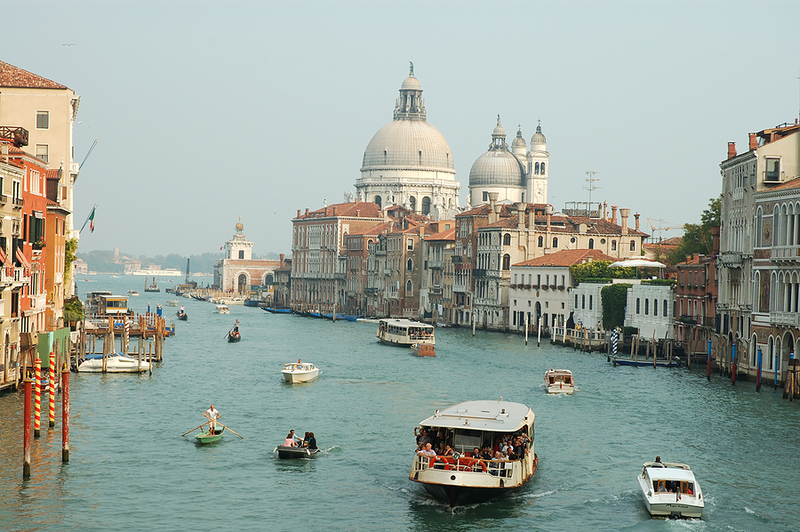 Stop in at the Peggy Guggenheim Collection, housed in the 17th century Customs House for Venice. Or you can wander the myriad of alleyways, as it is impossible to get lost. Many people like the back alleyways far from St. Mark’s Square where the antique and trade shops are located. Perhaps you might happen across a gilt framing shop, where craftsmen are still applying gold leaf in the age old manner using rabbit’s glue, or a paper print shop where the boutique hand crafted paper found throughout Venice is produced. While Murano glass abounds in Venice in the shops in various forms from chandeliers to jewelry, all glass has been hand blown since the 13th century on the nearby island of Murano to reduce the chance of fire in Venice. Murano is an island full of glass blowing factories, where glass products are being hand blown and created. Some of the glass factories have tours or have the furnace rooms where the glass is blown open to visitors. Murano glass, also known as Venetian glass has been sought after for centuries, and has a unique style and look. Another nearby island, Burano, is famous for handmade lace and the multi colored facades of the village buildings, while the nearby island of Torcello is home to a 7th century church with beautiful mosaics and an excellent restaurant. Close by the Lido, a vast expanse of beach facing out to the Adriatic Sea, is a resort area for both Venetians and the visiting rich and famous. 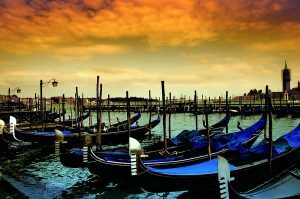 Days can be spent in Venice, or if short on time, one very special night, however whether at the beginning or end of a crewed yacht charter, Venice, as a great seafaring city, is the perfect port in which to embark or disembark a crewed yacht charter.